Things got a little scary at the International Space Station when a leak was reported. How did they fix it? Read on to learn more about fixing a leak in space. Have you ever experienced a leak in an inflatable toy? How about a leak in a bucket of water? If you popped a hole in a balloon what would happen? These things can easily be repaired or replaced here on Earth. However, when a leak occurs in space, the results could be devastating. We tend to joke that duct tape fixes everything. It seems like the perfect patch material. On a side note, some people claim that duct tape can also remove warts. Where did duct tape come from and who invented it? The idea for what became duct tape came from Vesta Stoudt, an ordnance-factory worker, and mother of two Navy sailors. During World War II, she had an idea to seal the munitions boxes with fabric tape. After writing to Franklin D. Roosevelt, the Revolite division of Johnson and Johnson set to create the tape. They used duck cloth and applied a rubber based adhesive to it. Consequently, the tape resisted water and was used as sealing tape on some ammunition cases. In addition, they eliminated the need to cut it with scissors and instead ripped it by hand. However, before the adhesive was applied, duck cloth had found its way into society with shoes. Shoe manufacturers used canvas duck cloth to reinforce the sole and upper areas. When the soldiers received the tape they named it duck tape since it could repel water. Later, in the 1950s, hardware stores sold the tape to hold together air duct vents. Hence, the name turned into duct tape. 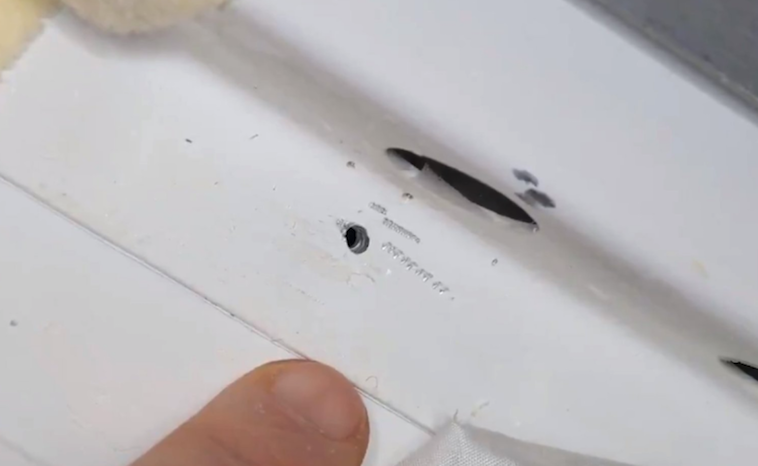 How did the ISS astronauts discover the 2mm hole? They noticed when the air pressure sensors on board the station were reading lower pressure than normal. They believe the hole was caused by a tiny meteorite that hit it with incredible velocity, punching a small hole on the side wall. Several days after the initial report, sources from Russia are saying that the hole was manmade. Pictures released seem to suggest that the hole was drilled by some tool. Since the leak occurred on the Russian side of the space station, officials have opened an investigation. In addition, some sources believe that the hole had been made on Earth prior to take off. With the ISS orbiting at an altitude of about 400 km above the surface this hole has created a problem. Though the ISS is built to withstand hits from swirling space material in the form of dust, rocky fragments, a man-made hole can prove disastrous. What did they use to fix the hole? You guessed it, they used duct tape and some epoxy. However, scientists have a concern about the epoxy. They currently have tests underway to see if the epoxy has expanding properties in space. Apparently, the patch has worked for now. If the astronauts had not found the leak, the crew would have run out of oxygen in 18 days. We hope that they figure out what exactly happened to cause the hole and at the same time, hope that the patch worked. We are rooting for the duct tape.